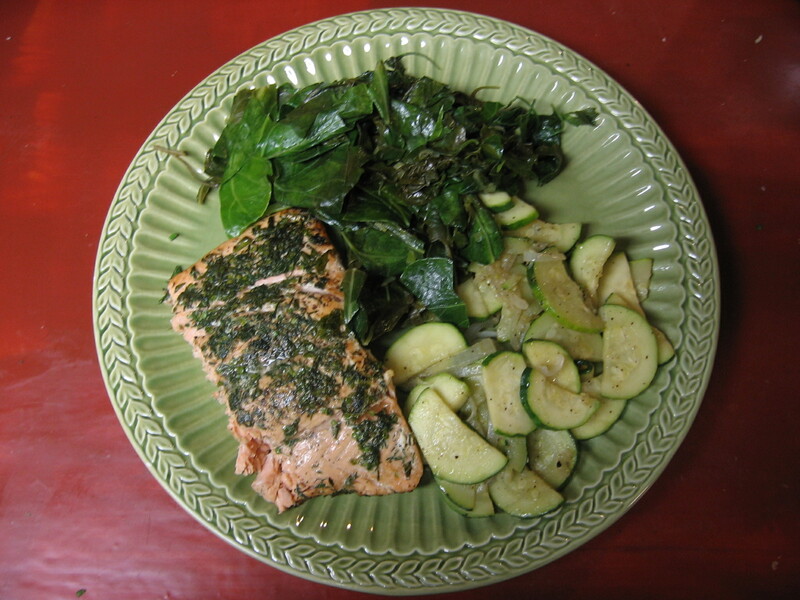 Wild-caught salmon seasoned with poor-man's pepper, accompanied with wild greens mixed with local collards and local zucchini and onions. What a delicious dinner, and much of it came from WEEDS in the yard! OK, so the salmon wasn’t local, but it was wild-caught and shipped flash-frozen to The Herbal Gourmet on Baxter St. in Athens. The zucchini, onion and collards are from Athens Locally Grown, the awesome and easy online local food ordering service. The weeds, lamb’s quarters and poor-man’s pepper, were very-locally grown in my friend’s unmanicured backyard. 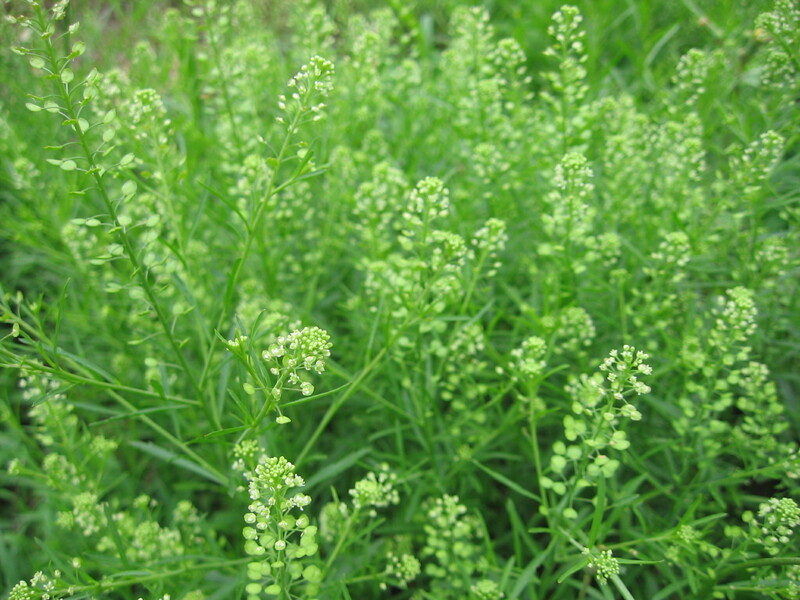 Poor-man’s pepper, Lepidium virginicum, is from the mustard family and is a common weed in disturbed areas. It will grow in gravel and through sidewalk cracks. The plant is easily recognizable by its profuse display of seed pods, which have a spicy flavor. To harvest just cut a few plants and bring them inside. Strip the seed pods and leaves from the stem and add them to your meal. It doesn’t matter if the pods are still green or dried. Plants in the mustard family can cause a little bit of skin irritation, so wash your hands after handling. For the seasoned salmon, add some dill to the poor-man’s pepper and liberally apply to the top of the salmon. Over medium heat, melt butter, and place the salmon face down in the pan for 2 minutes. Carefully flip the salmon over and place a lid on the pan. Cook for an additional 8 minutes, more or less, depending on the size of fish and your preference. Serve immediately, or chill for a salmon salad. 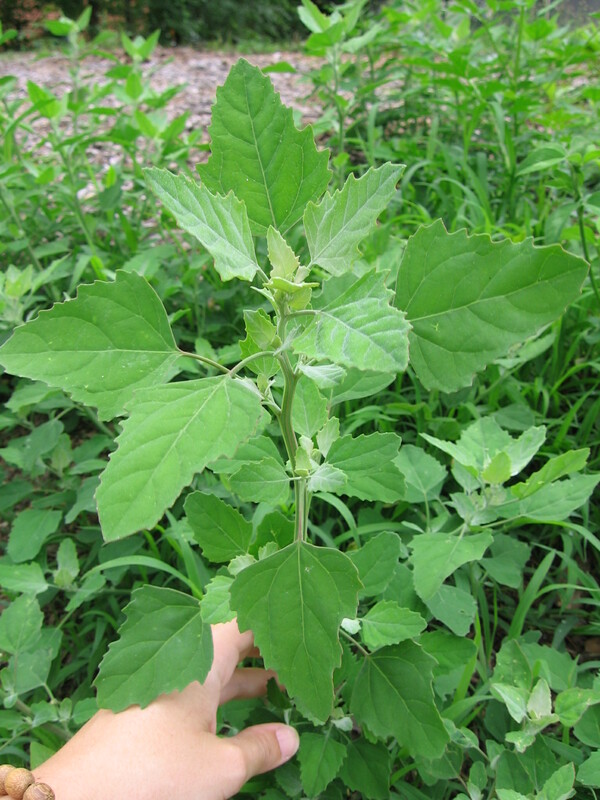 Lamb’s quarters, Chenopodium album, also grows in disturbed ground. The diamond-shaped foliage is a lightish green with the top leaves looking like they’ve been dusted with powder. The stem of more mature plants is often streaked with purplish-red lines running the length of the plant. Strip the leaves from the stem and rinse them very well. Lamb’s quarters are way more nutritious than spinach, and I think they taste better, too. Cook lamb’s quarters like spinach or other leafy greens. 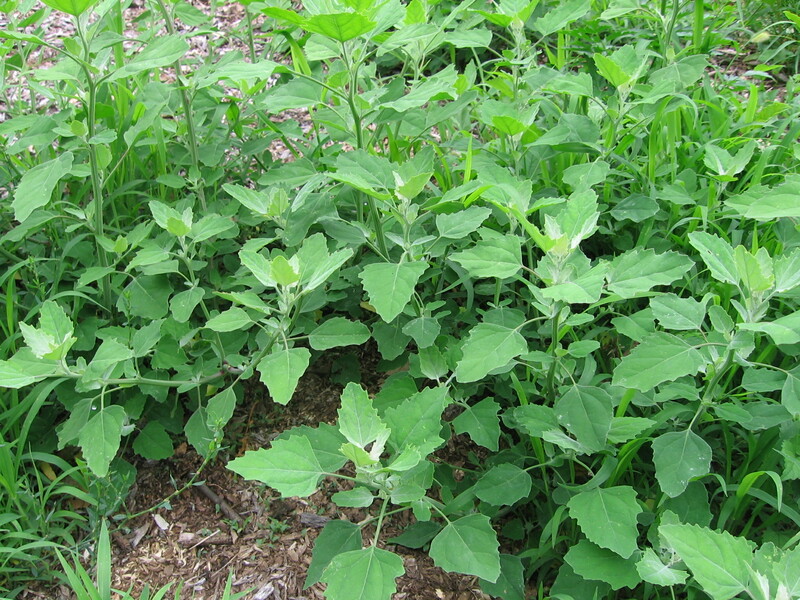 You can supplement lamb’s quarters with another leafy green. In a big stock pot add olive oil, and place on medium-low heat. Add the freshly rinsed greens and roughly chopped green onions. After cooking for a couple minutes, stir and add your favorite vinegar and some garlic, as much garlic as you can handle. I think ume plum-shiso leaf vinegar is delicious, or you can use herbal vinegars. Salt and pepper to taste. Be careful not to overcook the greens. They’re done in about 8 minutes. And for desert, just-picked mulberries with a dollop of Greek yogurt! A great patch of lamb's quarters!